The majority of Arizona might be a vast desert, but anyone who loves a day on the water will be pleased to learn this desert is absolutely teeming with lakes and rivers. In fact ― surprising to everyone but Arizona natives ― this hot, dry, Southwestern state is actually one of the best destinations in the U.S. for boaters and fishers. Whether you live nearby and need a new fishing hole or you are looking for an amazing place for a fishing-filled vacation, here are seven of Arizona’s best and biggest places to drop a line. Lakes and rivers in Arizona don’t look like most other states’ waterways; most spring up in canyons, which make for narrow, deep fishing holes. However, Alamo Lake looks just like a beloved fishing spot you might find in the Midwest: It is long and shallow, choked with vegetation, and a perfect home for a number of types of fish. About 40 miles upstream of Lake Havasu, Alamo Lake offers out-of-state anglers a familiar sight. One of the most popular watering holes in the state, Lake Havasu is an absolutely pristine place to drop a line year-round. Hugging the border between Arizona and California, this lake is more than 25 miles long, giving you ample opportunity to find a place where fish are biting. Even better, Havasu boasts one of the best varieties of swimmers, to include large- and smallmouth bass, striped bass, channel and flathead catfish, crappies, bluegill, and redear sunfish. You might even bring your younger anglers out for a few fishing lessons on this plentiful lake. One of the largest lakes in Arizona ― and the largest of the six Salt River Project lakes ― Roosevelt Lake has nearly everything an angler needs right outside the Phoenix Metro Area. Easily the best place in the state for bass, Roosevelt has regular bass fishing tournaments that are highly regarded by fishers around the country; however, the lake also has healthy populations of crappie and catfish for fishers reel in. Located just inside the Arizona border on the Colorado River, Lee’s Ferry is a fly fisher’s paradise. The spot is one of the only regions of the mighty Colorado accessible on both sides, which provides anglers plenty of space to practice their casting. Nearby lodges offer guides, gear, and more, but experienced fishermen will want to stock up on fishing rods ahead of time to beat the crowds that amass during the fishing season. 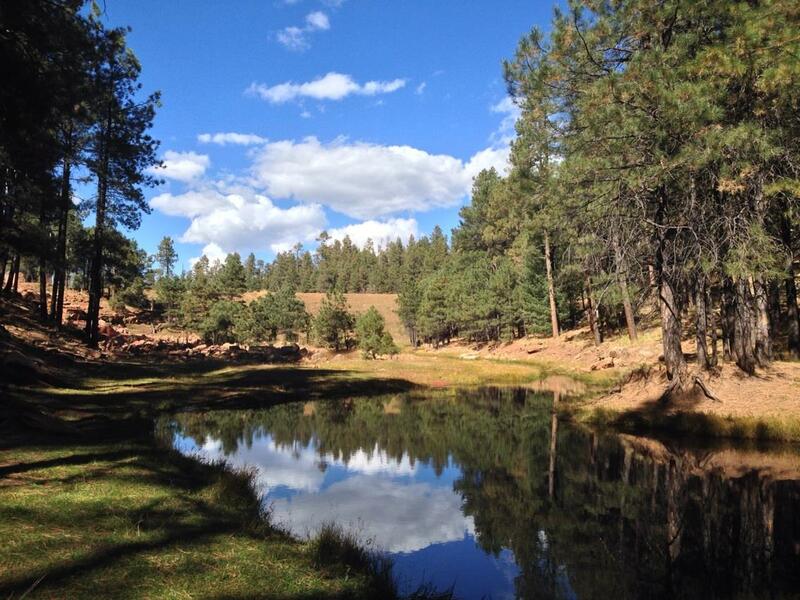 Another dream for fly fishers, Black Canyon Lake is beautifully scenic, nestled in the cool, comfortable Mogollon Rim. Primarily populated by huge rainbow trout, which are best caught from a boat or float tube, this lake also has a few opportunities for some bass and sunfish that lurk in the weeds near the sides of this deep lake. Unfortunately, the lake is only open during the day due to forest damage during a wildfire in 2002, but nearby campgrounds allow you to get on the water as soon as the sun is up. White River ― which is not to be confused with the Apache Indian Reservation called Whiteriver, though White River is located on protected native lands ― is wonderfully forked into dozens of branches, giving fly fishers privacy and space during their time on the water. Trout teem in these waters, especially in the North Fork, where you will easily feel in rainbow, brook, brown, cutthroat, and Apache, as well as a few catfish. However, because White River is on reservation property, you will need a special license to fish in this spot. The go-to destination for most water-based recreation in Arizona, Lake Powell is big, beautiful, and fun. The scenery is nearly indescribable; surrounded by magnificent red rock formations in Glen’s Canyon, the lake is exciting just to see and explore. Once you peel your eyes off your surroundings, you can reel in a good amount of fish, including bass, catfish, walleye, crappie, and bluegill. However, if you come during the summertime, it might take you a while to find a tranquil place, as Powell’s warm waters tend to attract thousands of swimmers, jet skiers, and other water sport enthusiasts.